Levi's® 557 Eve SQUARE-CUT Jeans Hose W 28 /L 36, TOP ! Faded Denim Extra LANG ! Levi's 529 Bootcut Jeans Hose, W 28 /L 36, Stretch, KULT Waschung ! Extra Lang ! Details zu Levi's® 529 Bootcut Jeans Hose, W 28 /L 36, RAR ! Faded Wash Denim, Extra Lang ! 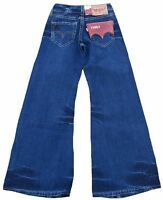 Levi's® 529 Bootcut Jeans Hose, W 28 /L 36, RAR ! Faded Wash Denim, Extra Lang !